The name Minus 4 PLUS 6 is derived from the Contrôle Officiel Suisse des Chronomtres (COSC) standard deviation rate of -4 to +6 seconds within a 24 hour day, tested over a ten day period of chronometer testing, in five positions and at three temperatures. Watches that are within -4 to +6 seconds deviation in a 24 hour period are awarded Official Chronometer Certification by COSC and the movement is engraved with a chronometer serial number. Rolex has a self-imposed stricter standard of -1 to +5 seconds per day and hence the designation, "Superlative Chronometer Officially Certified" on the dial of any certified Rolex watch. With 86,400 seconds in a 24 hour period (31,536,000 sec/year), a difference of +3 seconds per day is a deviation of 0.000035 (thirty five millionths) of a 24 hour run resulting in 99.99% accuracy. A Rolex watch balance oscillates at a frequency of 28,800 times per hour, - equivalent to a car going 87 mph, and traveling a distance of 3,600 miles a year. Rolex founder, Hans Wilsdorf recognized two major requirements for watches; 1) keep accurate, reliable time, and 2) be durable and withstand the elements. In 1910 Rolex sent their first movement to the School of Horology in Switzerland and was awarded the world's first wrist watch chronometer rating. Despite its hallmarks for reliability and durability, Rolex is sometimes referred to as the California Casio, the Texas Timex, and the Singapore Swatch. Despite these monikers, Rolex is the only watch manufacturer among the 100 most valuable brands in the world. Rolex is associated with world leaders ranging from the Pope and the Dalai Lama, astronauts and presidents. A Rolex 3135 balance from Bruno's Wristwatch picture (used with permission). View the caseback removal process on YouTube or on the casebacks page. 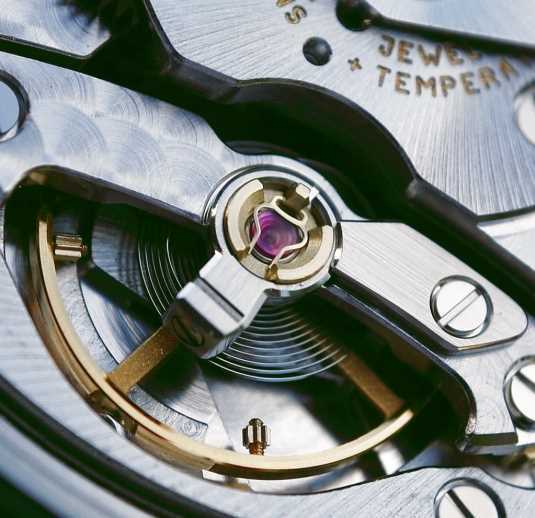 Rolex's movements beat at 28,000 oscillations per hour and the balance wheel oscillates 691,200 times per day! Minus4Plus6.com initially started as simple FTP space on America Online well before blogs, image hosting sites, and social media such as Facebook and Twitter. In the late 1990's the Internet was barely getting traction among non-information technology experts and the only method to learn about watches was through watch forums such as TimeZone.com and RolexForums.com. Since the late 1990's, Minus4Plus6 evolved as a reference site for images, how-to's and my experiences with Rolex and watches in general. As I learn something new, I post the experience here. I keep the site is advertisement free (despite offers so that I can keep the site commercially non-biased) and everything posted here are as a result of my own personal experiences.